thikke aniyum thiru udaiyaanidam serbavale! Abhiram! You are seated on the left side of my Lord Shiva! Who wears the garb of all the eight directions. Oh! My holy mother! Abhirami! in your sacred hands you hold sugarcane bow and flower arrows. On your Lotus flower-like sacred physique, you wear the necklace made up of white pearls. On your sacred waist portion which resembles the hood of a poisonous serpent, you wear the trinket called "Megala" and silk. நடராஜர் நடனமாடத் தொடங்குமுன் 14 முறை தன் கையிலுள்ள ‘டக்கா’ எனப்படும் உடுக்கையை ஒலிக்கிறார். அதனின்றும் வெவ்வேறு சப்தங்கள் எழுகின்றன. அவருடைய நடனத்தை காணக் குழுமியிருக்கும் தேவர்கள், முனிவர்கள் ஆகியோரிடையே இருந்த பரதமுனி, நாரதமுனி, பாணினிமுனி, பதஞ்சலிமுனி, முதலானோருக்கு வெவ்வேறு வகையாக இந்த சப்தங்கள் ஒலிக்கின்றன; பொருளாகின்றன. பரதமுனிக்கு அவை நாட்டியசாஸ்திர சூத்ரங்களாகவும், நாரதமுனிக்கு சங்கீதசாஸ்திர சூத்ரங்களாகவும், பாணினிமுனிக்கு வியாகரணசாஸ்திர சூத்ரங்களாகவும், பதஞ்சலிமுனிக்கு யோக சாஸ்திர சூத்ரங்களாகவும் அவை ஒலிக்கின்றன. அவரவர் துறையில் அவரவர் சிறப்பான நூல்களை உலகம் உய்ய அளிக்க அவை வழிசெய்கின்றன. Lord Vamana is the fifth incarnation of Srihari Vishnu. 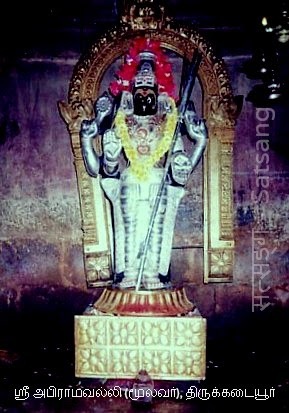 In Vamanavatara (Vaman Avatar), Lord Vishnu appeared as a dwarf Brahmin before King Bali. Mahabali was a wise, benevolent and judicious ruler and beloved of his subjects. Soon his fame as an able king began to spread far and wide, but when he extended his rule to the heavens and the netherworld, the gods felt challenged and began to fear his growing powers. Presuming that he might become over-powerful, Aditi, the mother of Devas pleaded with Lord Vishnu to curtail Mahabali's powers. அண்மையில் ஒரு பெரும் பேராசிரியர் ஆற்றிய சொற்பொழிவுக்குச் சென்றிருந்தேன். அவரது சொற்பொழிவின் இடையில் திருத்தொண்டத் தொகை பற்றிய செய்தி வந்தது. அவர் இதிலுள்ள முதல் தொடரான தில்லை வாழ் அந்தணர் என்பது சிற்றம்பலத்தில் ஆடிக் கொண்டிருக்கும் பெருமானையே குறிக்கிறது. 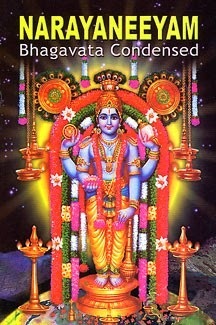 இத்தொடரில் “வாழ்” என்னும் சொல் முக்காலத்தையும் குறிக்கும் சொல். 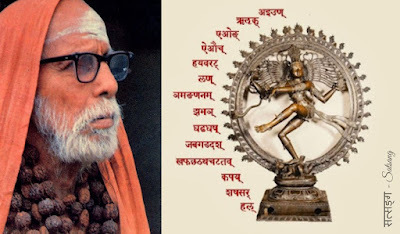 முக்காலத்தும் இருப்பவர் சிவபெருமானே; அதனால் அது அவரையே குறிக்கும். அது அங்கு அர்ச்சனை செய்து வரும் தீக்ஷிதர்களைக் குறிக்காது என்றார். என்னுடன் வந்த நண்பர் அவர் சொல்வது சரியா என்று கேட்டார். arul edhu!- ariginrilen, ambuyaadhanaththu ambigaiye! Abhirami! You are everything; the wealth, the resultant pleasure, and the by-product illusion, and the ultimate enlightenment; Abhirami you only removed the ignorance of my mind by installing the light of wisdom; Abhirami, effulgent mother! I am unable to comprehend the greatness of your grace! "Mylai is Kylai," the saying goes. That is, Mylapore is Kailash itself! The Siddhas say that this is so only because of the seven great Shiva deities who grace this town. 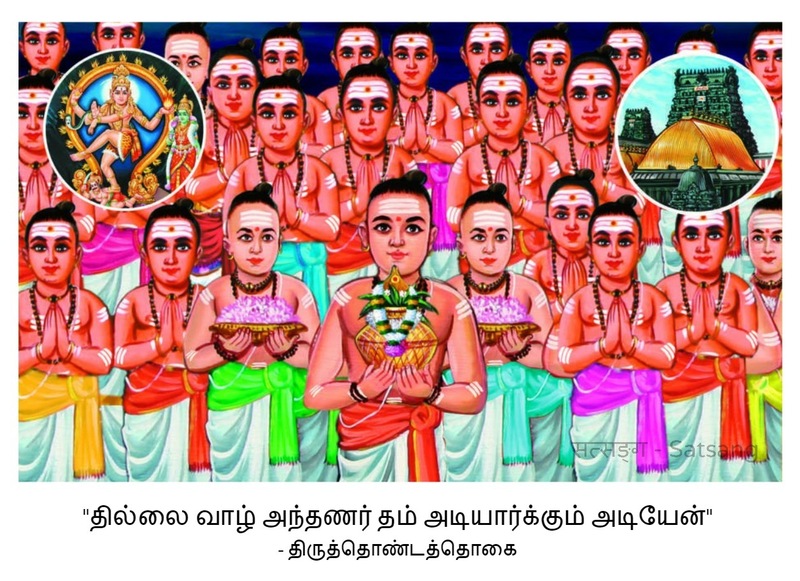 This is why that great general, Lord Sri Rama, visited this sacred town and worshipped that other great general, Lord Sri Skanda, at the Singaravelan shrine (which is part of the Kapali temple) in Mylapore. These deities are that ancient! Temples may get rebuilt, but these deities themselves are timeless. Such is the sacredness due to the seven Shivas here. So devotees should consider it a great honor to be able to offer worship at all seven Shiva temples here. They should consider it their sacred duty to revive the ancient Saptha Sthaana Shiva worship here. Thou emerged from the ocean as Dhanvantari holding the pot of nectar which the Asuras snatched from Thy hands. The devas became helpless. After consoling them, Thou immediately disappeared. O Lord! Then prompted by Thy Maayaa the Asuras started to quarrel amongst themselves. The ancient Nataraja temple of Chidambaram pays special tribute to Lord Shiva every year for five days. It begins on the auspicious occasion of Maha Shivaratri. During this time, leading dancers from all parts of India congregate and dance in the temple as an offering to Lord Nataraja. 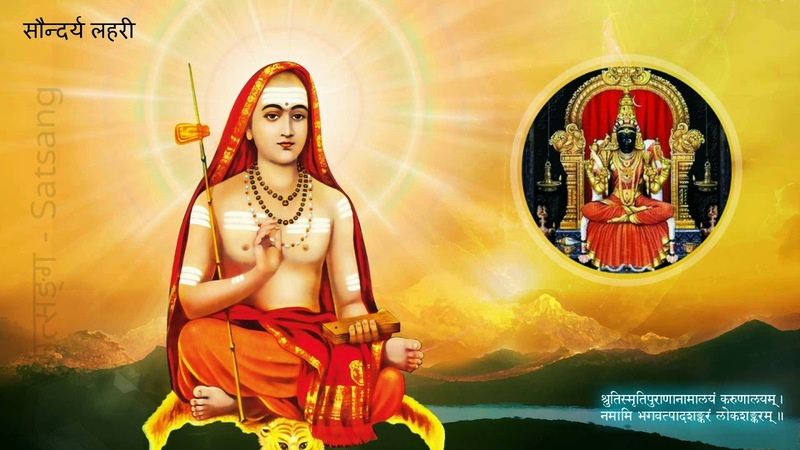 Chidambaram is among the most hallowed and ancient sacred spots associated with the worship of Lord Shiva. In the concept based Saivite philosophy and religious traditions, the local legend relates to the role of Shiva as the Lord of the consciousness of true knowledge, Further the holy shrine of Natraja at this place is full of esoteric and spiritual significance. The Ananda Tandava of the Lord - protection, transformation, containment and grace. The icon representing this manifestation of Shiva has been universally praised for its exquisite beauty and aesthetic nuances. It is this figure that has been a perennial inspiration for the art of dance. With a view to revive and Consolidate this tradition a concerted effort was started in 1981 in the form of annual event, Natyanjali with the active co-operation of Podhu Deehshithars - the hereditary custodians of the temple. 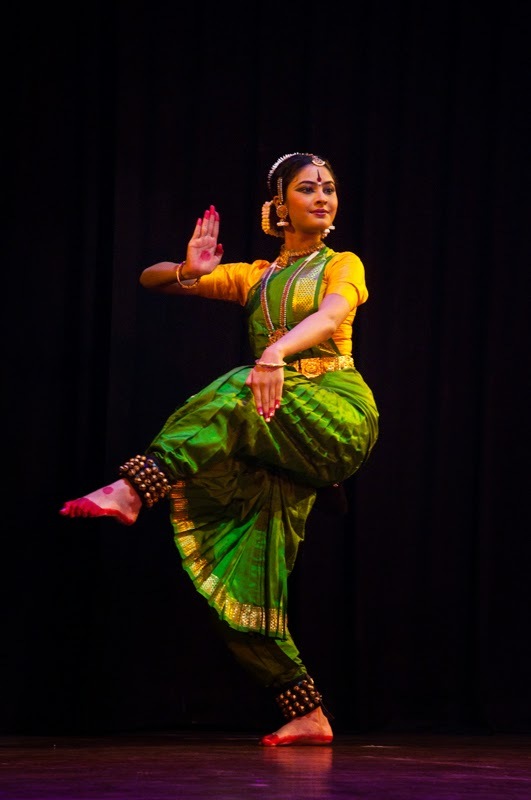 Over the years Natyanjalii has grown in status developing into National Festival presenting many styles of Indian classical Dance. Participation and response have acquired International dimension. The Five Days event now features about 300 to 400 dancers and also involving 300 other accompanying artistes. The festival is organized by the Trust known as ‘Natyanjali Trust’. veng kan pani anaimel thuyilgoorum vizhupporule! Supereme being Abhirami! Lord Shiva who wears the moon as ornament on his matted hair, with fragrance has bowed down by placing his head on your beautiful feet. Because of the penance we have done previously, we have your grace. Will the same be bestowed on celestials and heavenly beings? The Protection- God Vishnu, who reclines and seemingly sleeping also praises your glory. Pavala Kundru is a craggy outcrop of rock to the north of the Arunachaleswarar Temple. 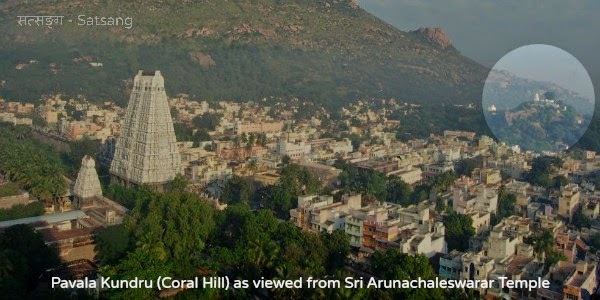 Though the name literally translates as ‘Coral Hill’, it is made up of rugged, grey, granite blocks that tower a couple of hundred feet above the surrounding town of Thiruvannamalai. 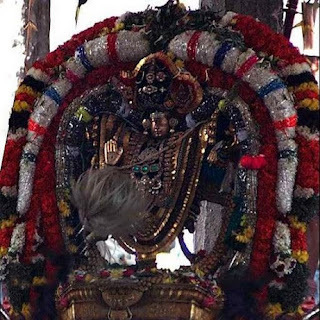 It has been a traditional part of the town’s spiritual landscape for centuries; Bhagavan mentioned that it was one of the possible places that Parvati did tapas in the stories that are chronicled in the Arunachala Mahatmyam and Arunachala Puranam. It earns its name because the rays of the rising sun are supposed to turn the whole rock to a lovely coral red. 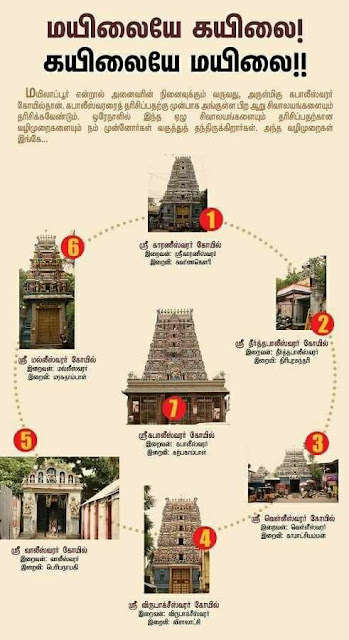 This less-known temple can be approached from the town through a little street leading off the Durgai Amman temple about 1 km after the main bus terminus. There is a good stone staircase hewn against the rock to climb up to the temple. First and foremost there emerged from the ocean the Kaalakoota poison which was like molten fire. Lord Siva,who was delighted by the gods praising him, swallowed it fully in order to please Thee. senn then malarum, alar kadhir nyaayirum, thingalume. Abhirami, with kindness and benevolence bestows heaven on those who surrenders and she is present as Saraswathy on the four-faced Brahma's face, and as Lakshmi on the divine-chest of the Vishnu, who wears Basil garland and string of gems and as Shakthi on the left side of Shiva. She is present in the red Lotus flower, which is as bright as gold and with honey in it, she is also present in the sun, that blossoms the Lotus and is in the moon. British Museum Collection and was sketched in 1762. Thai Poosam festival occurs in the Tamil month of Thai (Jan 14th to Feb 14th) on the day of star poosam around the full moon day and has many legends associated with it. 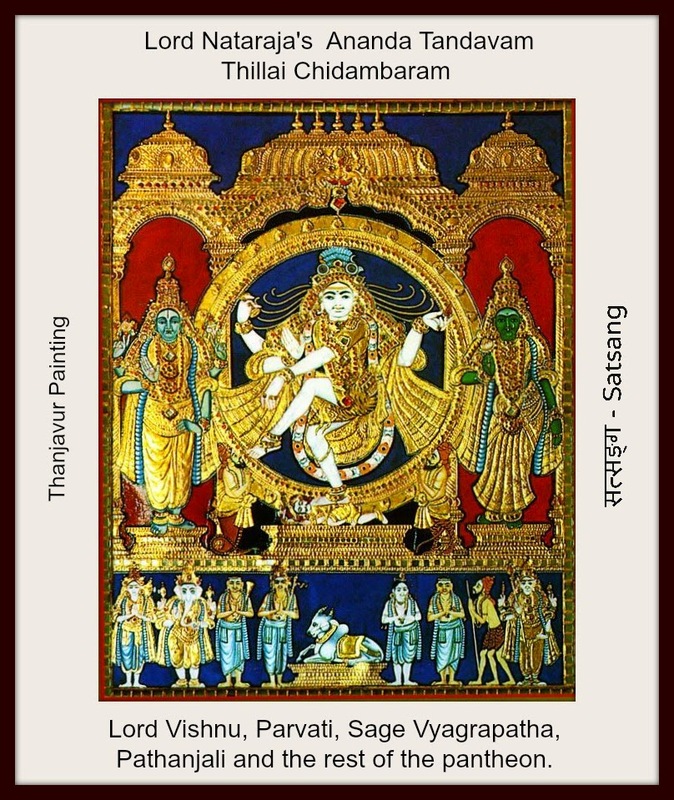 It was on this day, Lord Shiva and His consort Uma Devi blessed the sage Vyagrapadha and Patanjali with their blissful dance in Chidambaram. The oven lighted by Vallalar about 142 years ago, on May 23, 1867 in the Sathya Dharma Sala never extinguishes and continue to burn till today. 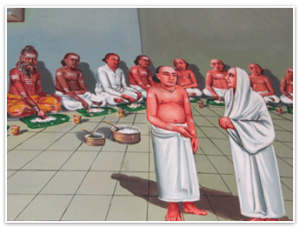 Vallalar started the Annadhana – feeding the poor. The oven is 21 feet long and 2.5 feet deep. As the oven should not extinguish, the temple does not buy match box at all. Though no cooking is done during the nights, a staff of the temple would be putting firewood to keep the oven alive. The feeding is being continued for the past 142 years since it was started. All provisions and other materials such as rice, sugar, salt etc. are supplied by devotees. The feeding is done five times a day – 6.00 a.m., 8.00 a.m., 12.00 a.m., 5.00 p.m. and 8.00 p.m.